The Big Meadow Course at Black Butte Ranch is one of central Oregon golfers favorites, garnering numerous awards over its 30 plus years. 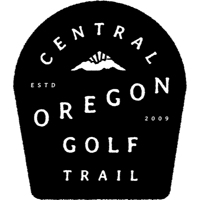 This straightforward Robert Muir Graves design takes golfers through a scenic journey of the Oregon cascades while providing challenges and classic mountain views. The golf course stretches over 7,000 yards from the championship tees and features expansive, sweeping cape and bay style bunkers and numerous elevated green complexes to challenge golfers of all skill levels. 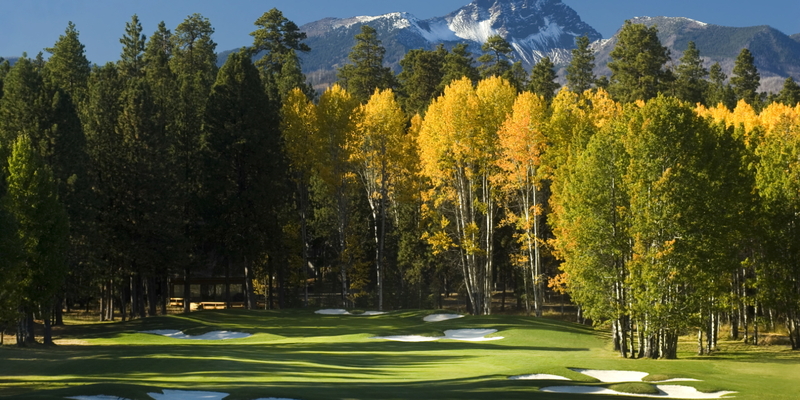 Every component of the course is integrated into the spectacular mountain setting of Black Butte Ranch. The fourteenth hole presents one of the Northwest's finest golf course photography opportunities, providing golfers with a dramatic view of Three Fingered Jack, a jagged volcanic peak rising above the towering Ponderosa pines. The sculpted fairways draw golfers eyes to the surrounding terrain while Aspen groves and Ponderosa Pine trees frame stunning views of this Central Oregon golf course. The combination of golf course grooming, spectacular scenery and tee box options (anywhere from 7,000 to 5,480 yards) makes for an unparalleled experience. It is no wonder that Big Meadow Golf Course has been host to numerous Oregon golf championships and received 4 star ratings from Golf Digest, and been recognized as a Top 75 Golf Resort in the US. Please call 541-595-1500 for current rates. Call 541-595-1500 for rates and tee times. Contact Black Butte Ranch - Big Meadow at 541-595-1500 for more information and details on holding a golf outing at the course. Upon arrival, mountain views welcome you and continue to provide peace and tranquility throughout your stay at Black Butte Ranch. The awe-inspiring scenery, teamed with our abundant year-round recreation, makes Black Butte a truly special place. Our 120 Ranch vacation homes located throughout the resort’s 1800 acres offer a variety of accommodations for you to settle in and enjoy your time. Guests’ selections may range from private lodge rooms to two and three bedroom condos, from charming cabins to spacious custom homes—just the place for friends and families, retreats and reunions. Black Butte Ranch vacation homes are all professionally managed, privately owned rentals, decorated and furnished to the owner’s individual tastes. Each home provides its own special view, including meadows, golf courses, and expansive mountains, and affords easy access to the amenities sprinkled throughout the Ranch. Guests can search for additional preferences, including pet-friendly homes and homes with hot tub or air conditioning. Black Butte Ranch offers a variety of Northwest dining options to satisfy whatever you’re craving. From upscale Northwest fare and artisan creations amidst the region’s best views to casual bites, burgers and brews overlooking the golf course, each restaurant on the Ranch showcases a distinct menu and atmosphere. After an active and adventure-filled day, the Spa at Black Butte Ranch is just what you need to unwind, relax, rejuvenate and reward yourself. Choose from an extensive menu of therapeutic and beauty services that provide head to toe care. Our spa treatments and spa packages are designed to help reduce stress and provide a relaxing experience. Luxuriate in massages, body treatments, relaxing to results-oriented facials, couples’ spa treatments focused on relaxation and rejuvenation and a variety of pampering for the hands and feet. Group spa experience packages are also available to complement any outing or event, and our Spa gift sets make an exquisite present. This profile was last updated on 01/14/2019 and has been viewed 9,125 times.